Tally Ho! 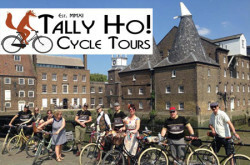 Cycle Tours provide fun, small group, guided bike tours of London’s iconic sights and hidden wonders. London SE1 7LH, United Kingdom.